Last March I expressed my views here on calls to add more charges in various forms to parks and their facilities, and particularly on differential charging for tourists. Recently this topic has been refreshed in media. It might be because the NZ Tourism Industry Association (the main association of subscribing businesses who charge tourists for experiences) having released a report arguing that there should be more privatisation in the operation of public assets, and suggesting more money should be raised directly from their users. The report is announced here, which includes a download link for a 24 page executive summary. Here’s some more random and recent coverage on the topic, all from Fairfax: Kiwis risk losing an ‘unalienable right to wild places’ (23 Dec 2016), Dominion Post Editorial (27 Dec 2016) – Yes to a tourist tax, Tramping group fights plans to charge tourists for using Great Walks (30 Dec 2016). Great Walks have been singled out in the popular media discussion, with much made of the point that Great Walks “lost” around $3 million last financial year. The Tourism Industry argues that DOC runs them inefficiently, and that much could be gained with forms of privatisation. In my March 2016 post I’ve already expressed most of my views and reasoning around charging for access. On the Great Walk thing, I’d just add that since their inception, Great Walks were never intended to make a profit. There are multiple intents with Great Walks, but part of their purpose was to attract the masses of visitors to a few very specific places where so many people could be more easily managed. It’s safer, and often more enjoyable, for people with lower skill and experience levels. At the same time much of the visitor pressure is lifted off the rest of the network. If costs get too high, there’s a higher incentive for people to disburse through all the other random places which are harder for DOC to predict and preempt their management for higher visitor numbers. That’s especially a risk when everyone’s so easily trading secrets in the internet forums and back rooms of backpackers about the best next place to go which authorities haven’t yet caught up with. Something I didn’t address in my previous post is that I think much of this discussion is being misguided from the start. Reports and discussions and social media threads are mostly considering methods of funding DOC, or funding the Conservation Estate if not DOC. Maybe it’s about whether there should border taxes or entry fees or conservation passes or increased facility fees. Anything to make up for the lack of public funds which we’re providing! Talking about funding sources, though, doesn’t actually address the question of how much money is needed, nor what we could expect from it. My own view is that New Zealand’s issues, at least when it comes to spending, are largely about how much we, as a population, value the land and what’s in it. Meanwhile, police also rescued two people who had got lost on the Pouakai track on Friday. The pair were reached at Pouakai Hut on Friday afternoon, and were walked out on Friday evening, a police spokeswoman said. Search and rescue staff have headed up to Pouakai hut to rescue two trampers that were “cold and wet and a little bit lost”. A police spokeswoman said they had called emergency services after becoming stuck at the hut on the top of the Pouakai Ranges in Egmont National Park near Mt Taranaki. The spokeswoman said staff were preparing to head up to the pair at 1.30 on Thursday afternoon and would walk them out of the park. The pair had food and water, and were not in immediate danger, she said. 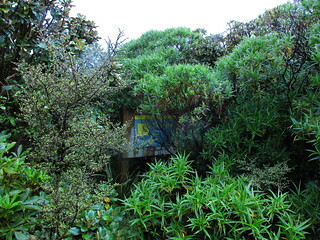 Here is Pouakai Hut on a map. I’m not a Taranaki local but I’m there frequently enough that I’m not a complete stranger to Pouakai Hut or the Pouakai Range. It’s a 1.5 to 2 hour walk up, for the reasonably fit, from the end of Mangorei Road. Most of that walk is under trees, and virtually all of it is artificially stepped and boardwalked. 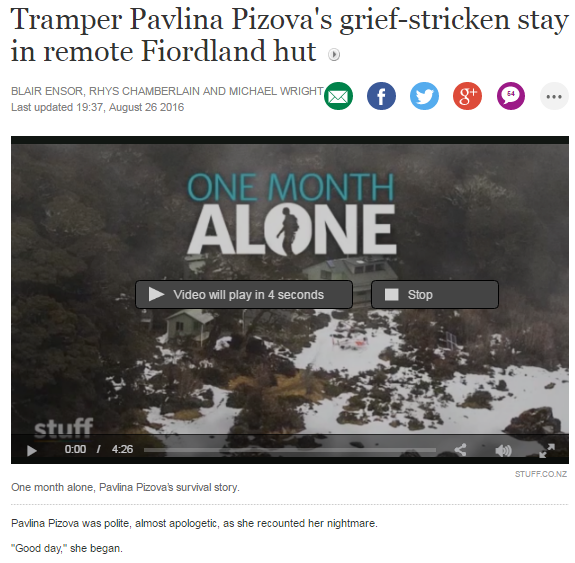 When I read about the first event I was surprised that someone could reach Pouakai Hut and still require help. Maybe it was just bad timing when asking for help, or being exhausted having somehow become lost amongst the heavily artificially tracked Pouakai Range. Less than a month later, however, it’s apparently happened again. 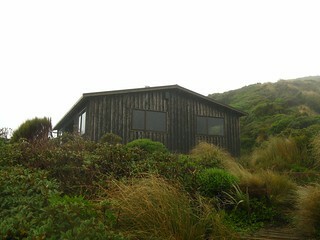 Two people found their way to Pouakai Hut and, somehow, didn’t feel capable of getting themselves down. New Zealand has a great official mapping system in place, thanks to Land Information New Zealand (LINZ) having a mandate to produce and maintain consistent, national topographic mapping. Since 2009, this mandate has materialised in the Topo50 and Topo250 map series’, respectively 1:50000 and 1:250000 scale maps. Topo50 maps, in particular, are frequently used for tramping. As of Tuesday, however, LINZ is seeking feedback on the future production and prices of paper maps. Three young men took a wrong turn at the Red Crater Summit and wound up heading along a ridge to Mt Tongariro’s summit in 70km/h winds, with icy rain falling, snow underfoot and visibility at just 10 metres. Meanwhile, the main group carried on and the leader did not realise until they got to the Ketetahi Shelter, that three of her group were missing. On the ridge, one of the students turned back, leaving the other two still ascending the mountain. Some time afterwards, the cold and wet pair realised they were lost and running out of strength, with hypothermia beginning to set in. [Professional guide Terry] Blumhardt dug a trench in the ice and put up an emergency shelter and the trio force-fed the hypothermic young men with sugary food, electrolytes and hot drinks and wrapped them in foil blankets in an attempt to revive them. Once they had warmed up a little and after two RARO rescuers had arrived, the group attempted to get the stricken students off the mountain. [Former police senior constable Cliff] Jones estimated the temperature on the ridge was well below zero. He said if help had not arrived, they would have died and it was touch and go whether they could even get the young men walking again and off the mountain before dark. “This is one of the closest I have seen for a long time. “These people haven’t got the relevant experience or possibly the relevant training to be carrying out what they’re doing. This incident has also been covered by Stuff. Unfortunately with the educational institute (Te Wananga o Aotearoa) not saying much except that they’re running an investigation, media coverage seems to have been relatively minimal. Nobody died, thankfully, and thus the coroner’s not involved, so there’s no guarantee that results from that investigation will ever be released in a public way. There’s also no guarantee that it’ll even be an appropriately run investigation for adequately assessing what happened and what needs addressing. Hopefully we’ll see the institution pressed for answers in due course. I’ve not yet read Laurence Fearnley’s Going Up Is Easy, but it’s on my reading list. It’s the biographical account of Lydia Bradey as the first woman to ascend Everest without oxygen, and the only New Zealander to do so. Last Monday, Radio NZ began playing a 10 part audio adaptation of her story. It’s narrated by Lydia Bradey herself, and began playing on Monday as a daily part of Kathryn Ryan’s Nine to Noon programme. The episodes will show up here as they become available over the next two weeks. Also of interest will be Kathryn Ryan’s interview with Lydia Bradey, from June 2015. There was a report a couple of days back of some people being rescued in Kahurangi National Park, having activated a personal locator beacon. The three women […] had been tramping on the Leslie-Karamean track when they became stranded on Sunday by the rising waters as they attempted to get to the Venus Hut. Rescue helicopter pilot Barry McAuliffe said the women set off the beacon so people meeting them at the end of the track didn’t consider them overdue. “They were just worried about their deadline at the other end and if they weren’t there at the end then all hell would have broken loose,” he said. There’s been some criticism in social media about whether this was an appropriate activation. From that description is reads as if they were most likely safe at a hut. A distress beacon is an emergency device to be used when assistance is required to ensure the safety of lives e.g. any life threatening situation or when a serious injury has occurred – it is not a taxi service! Situations can deteriorate rapidly, however, if you are unsure about when to activate the beacon, it is better to activate it and get help – don’t wait until it’s too late! In other words, the agency that’s mandated as a first responder to PLB activations in New Zealand states that it might be acceptable to activate a PLB if you think the situation may get worse. That makes sense. The pilot quoted above suggests that the activation was appropriate, and without a full context beyond a media that’s often incomplete and inccurate with this type of thing, it may be worth giving the party the benefit of the doubt. This is certainly a good opportunity to discuss some of the wider issues around PLB activation, though. I’ve only been reluctantly following the recent winter incident on the Routeburn track, where a man slipped and fell, eventually dying. His partner stayed with him in freezing temperatures for several days as he died, then made her way slowly through deep snow to the isolated Lake Mackenzie Hut. She eventually broke into the nearby warden’s hut where she waited for a further 24 days before concerned friends on Facebook triggered a search with the help of local consular staff to liaise with New Zealand Police. Wilderness Magazine summarises the accident well. I’m not reluctantly following because I don’t care about the accident. It’s more that I’m reluctant to follow the coverage because so much of it is awful. At times it’s seemed more fascinated with the light-hearted “survivor” trivia of a person lasting alone for a month than of recognising and respecting that one person died, and another suffered a serious traumatic event. She then had to cope with it for a month before receiving any help, and having finally been rescued was very quickly subjected to a press conference that several media outlets advertised and live-streamed, in a language she doesn’t understand, and which she really didn’t need to be at. Stuff’s video example (see screenshot) is the one I’ve so far found most troubling to watch. I won’t bother embedding the video here, but I just hope it’s enough to note that the title image is symptomatic of the presentation that follows. To me it simply seems that the video’s makers and publishers have taken a terrible tragedy for multiple people, and dressed it up as if it’s simply a cheap reality TV entertainment show. Yesterday, Federated Mountain Clubs published an informal facebook post. 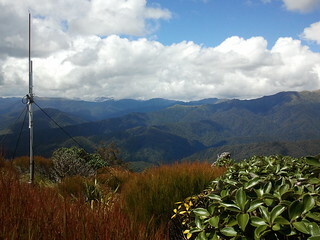 It noted an experience at Blue Range Hut, in the Tararuas, where the overnight inhabitants had locked the door from the inside. Most of the discussion under that post has been about whether it was poor form for the people who arrived first to lock out late arrivals. General consensus, which I agree with, is that it’s very poor form if it’s done with intention to keep others out. More significantly, though, it’s had me wondering about why any public back-country hut can have its door locked from the inside. What’s the legitimate purpose, if any, of allowing those inside to lock others out? used to be the Pyramid Route. In the past I’ve dropped a few references to the various tracks around Egmont National Park which have been ‘closed’ (in official terms) in relatively recent times. Reasons have generally ranged between erosion and lack of maintenance. Here are a couple of recently-posted trip reports (not mine) on zoneblue.org, covering a couple of them. Note that these are not (any longer) officially maintained tracks of the Department of Conservation. You really do need to take sensible precautions and have the appropriate skills if you wish to investigate. Especially the Pyramid Route. The first of these, in particular, is most definitely not a beginner experience. If you stumble on orange triangles on either of these routes it’ll be purely coincidental. I just appreciate seeing information about them. I should add that it’s also a slightly contentious point to talk about this. 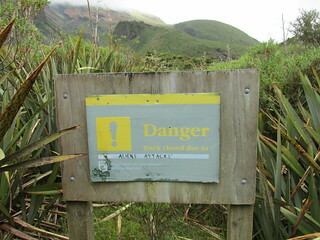 DOC in Taranaki has had issues with people unofficially retaining old tracks. Late last month, two women had a very fortunate outcome in the vicinity of Kapakapanui. In the past, I’ve written multiple trip reports describing the very accessible loop walk which the women were attempting. Here is the region on a map. The pair, an international student from the USA and her visiting mother, set out on Tuesday 26th April, intending to complete the commonly walked loop route which, under normal circumstances, is very accessible to anyone reasonable fit. They never checked out of their motel on Wednesday 27th April, but it wasn’t until they failed to return their rental car by 11am on Friday 29th April that Police were called. Police quickly located the car at the base of the Kapakapanui Track entrance to Tararua Forest Park, at the end of Ngatiawa Road east of Waikanae. By now, statistics were already not in their favour, but exactly how long they’d been missing was unclear and weather had been unmemorable during recent days. A Search and Rescue operation was initiated immediately. Several other trampers were located who’d seen the pair on the track on Tuesday, providing a time-frame for how long they’d been missing, but exact intentions remained unknown. Early on Saturday 30th April, four LandSAR teams entered the area. At roughly 1pm that day, the two women were spotted by a helicopter. They’d spent 4 nights outdoors, with the daughter in particular by now being extremely dehydrated, starving, and possibly within a few hours of death.